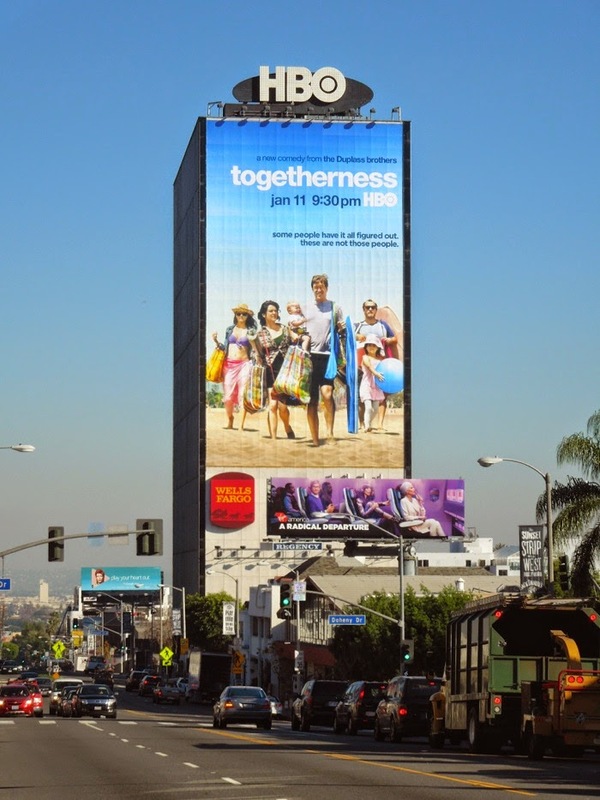 'Some people have it all figured out. 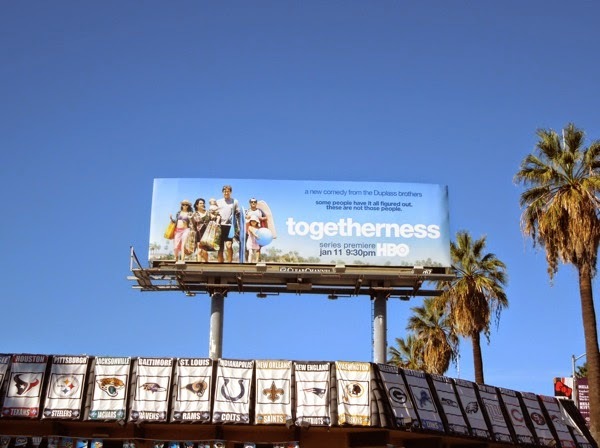 These are not those people'. 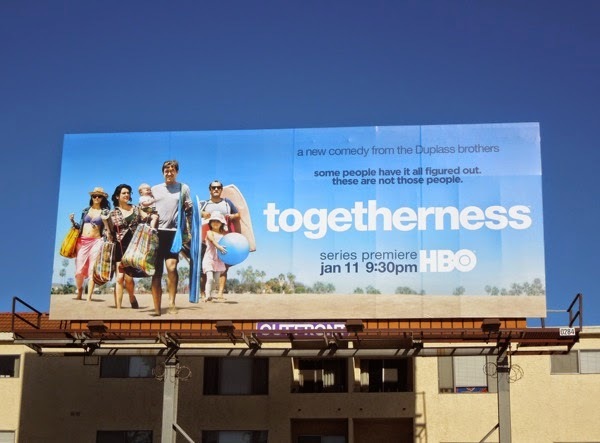 Don't let this day at the beach ad creative fool you, it looks like the characters in HBO's new comedy Togetherness are not one big happy family, but rather one big hot mess (just like the rest of us). 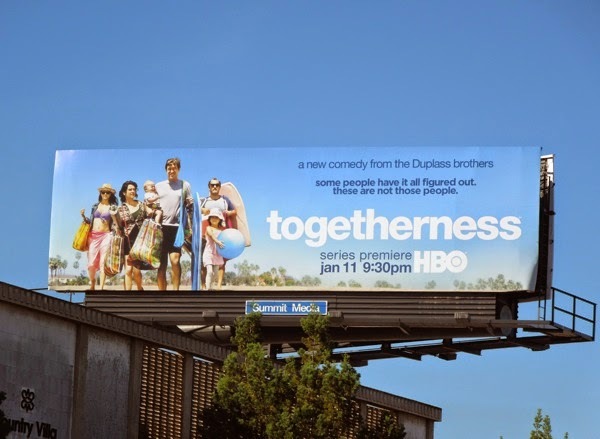 This new eight episode season from the Duplass Brothers, sees Mark Duplass and Melanie Lynskey as a married couple, 'Brett and Michelle Pierson', and Amanda Peet as Michelle's sister, along with their overweight out-of-work actor and friend in need, Steve Zissis, living under the same roof, each with their own personal problems and melodramas. 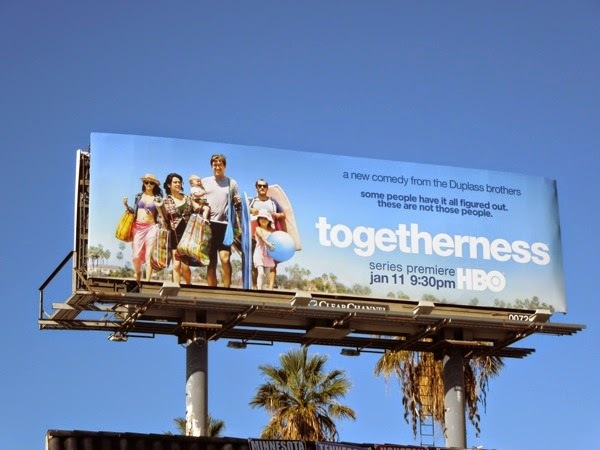 The series explores the relationships, dreams and disappointing realities of these four middle-aged people's lives in L.A., because life's not a beach for everyone. 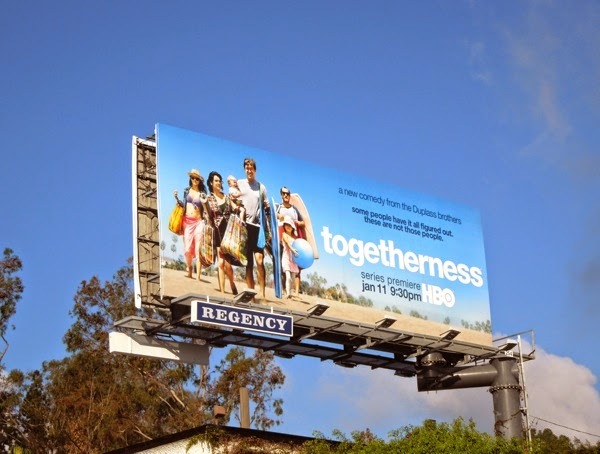 These series premiere billboards, which seem to be everywhere you look at the moment, were snapped along Pico Boulevard and Sunset Boulevard on December 8, plus later along Santa Monica Boulevard in West L.A. on December 13, 2014. 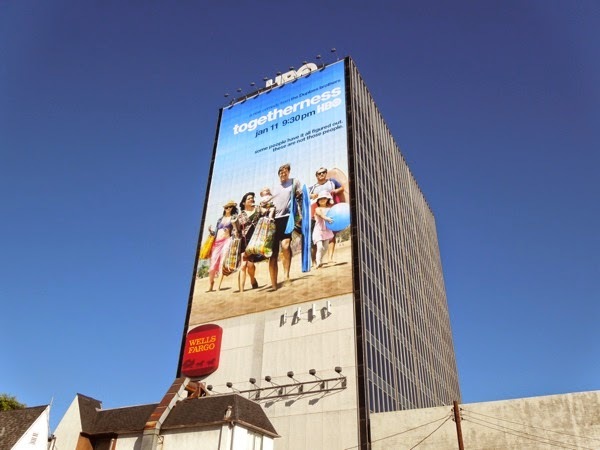 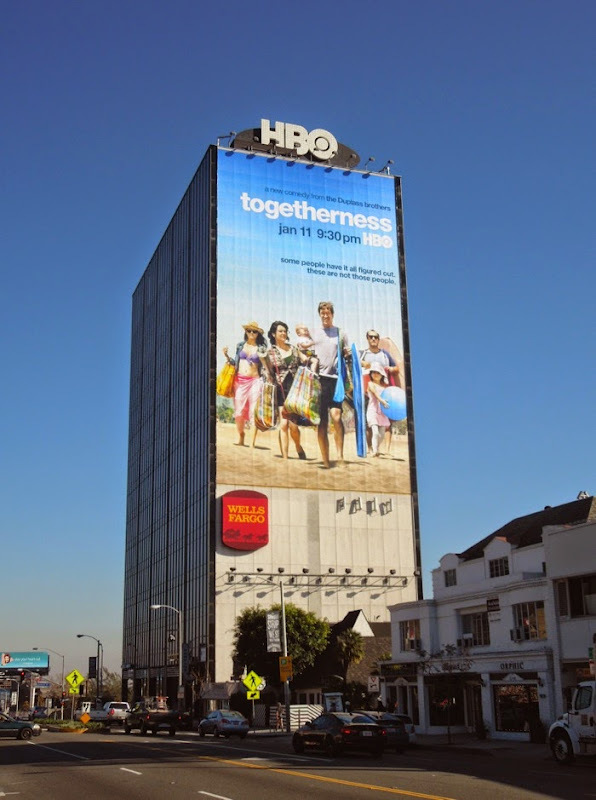 The spectacular giant-sized billboard was snapped eastbound towering over the Sunset Strip on December 22, 2014. 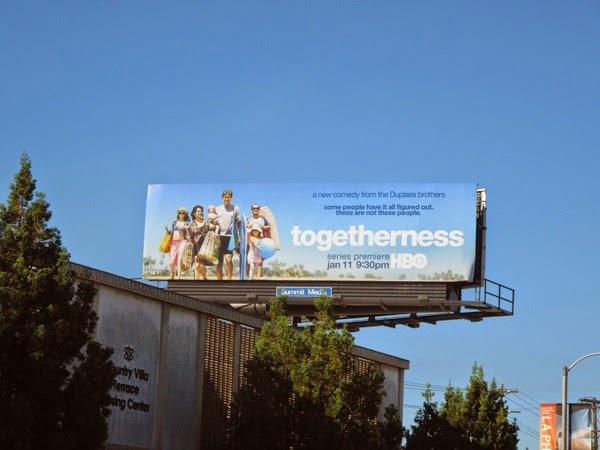 If you like these outdoor ads, be sure to check out more HBO TV show billboards and stay tuned for even more fresh new televisual delights coming your way the rest of this week and in the New Year. 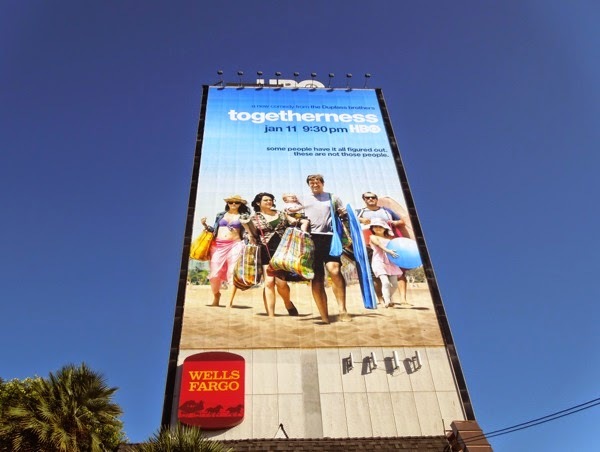 Now, does anyone else feel like they need a beautiful beach holiday, or is it just Daily Billboard?